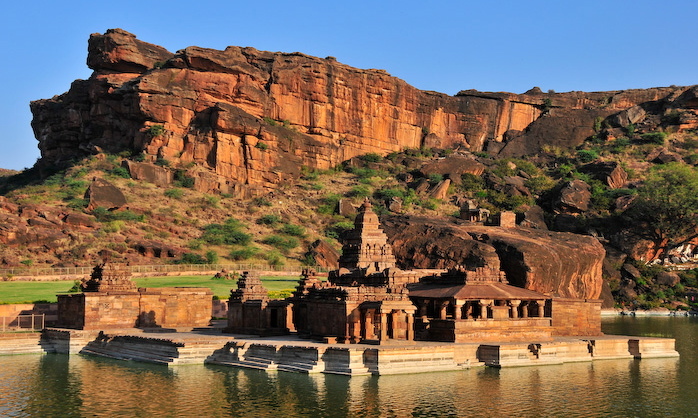 The capital of the Early Chalukyas, Badami is picturesquely situated at the mouth of a ravine between two rocky hills. 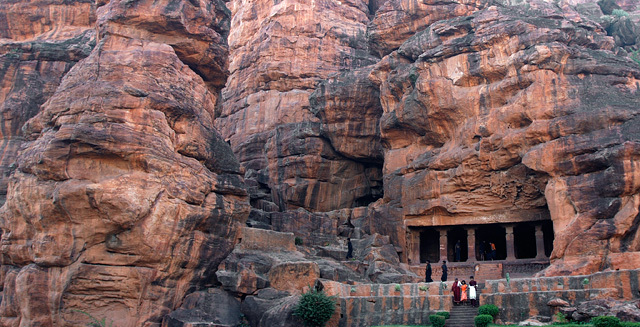 Badami is famous for its four cave temples & beautiful rocks for climbing. The Station Road is the main road in Badami; the architectural complex lies to the east of it. There are four sets of caves. The oldest, Cave 1, has stunning carvings of Shiva in his Nataraja avatar, dancing the apocalyptic tandava. There are also carvings of the god in the Ardhanarishvara form where he is depicted as half man-half woman, the woman half representing his wife Parvati. Yet another carving is of Harihara, the right half of this figure depicts Shiva - the Destroyer and the left, Vishnu - the Preserver. 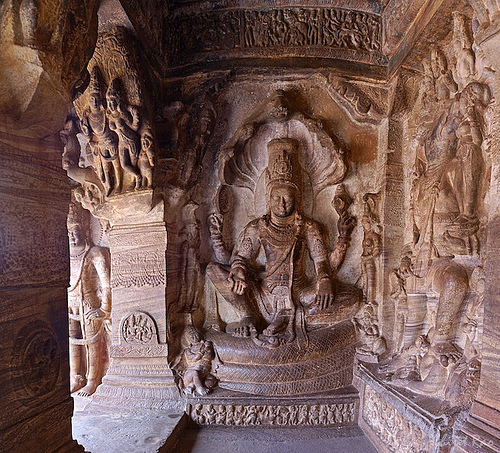 Caves 2 and 3 are dedicated entirely to Vishnu, whereas Cave 4 is has an image of the Jain tirthankara, Adinath. 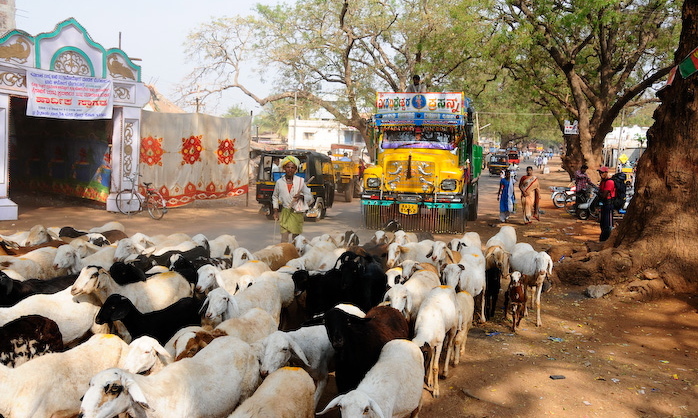 Getting There:There are buses to Badami from Bijapur, Bangalore, Hubli, Gadag and Ilkal. The trains that arrive at the small Badami station are all II-class passenger trains. There are railway services from Gadag from where you can get a connection to the bigger cities of hospet and Hubli, and from Bijapur, which is on the Mumbai - Secunderabad - Chennai main line.